Bought a new DROID Bionic over the last few days and need more juice to get you through the day? Might want to head over to Verizon’s online shop today, as they appear to be slashing the price of extended batteries in half this weekend (possibly til 9/30 though). 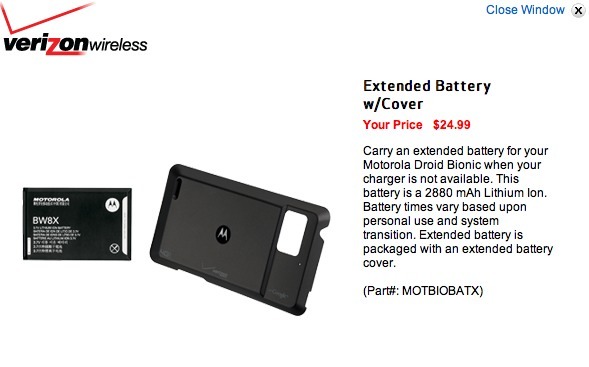 When you view the battery page, it will show as $49.99, but once you add it to your cart, you will see that you can purchase it for $24.99 as I have showed in the picture above. Steal.